Specially made for ease and convenience, this cordless electric kettle offers a 1.7L water capacity and 2000-watt of power which boils water faster than the stove or microwave oven. This cordless kettle lifts from the corded base for easy filling, pouring and serving with an automatic shut-off when water boils. The advanced design of the concealed heating element is never in contact with the water, so there is no buildup of objectionable mineral deposits. 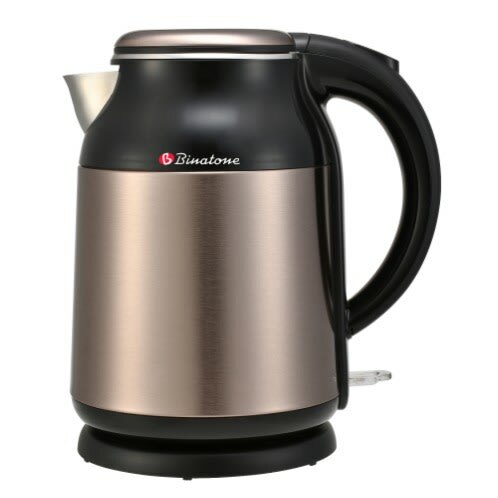 For safety, the kettle provides automatic shut-off, boil-dry safety protection, a secure locking lid, power on indicator light and cool touch bottom.